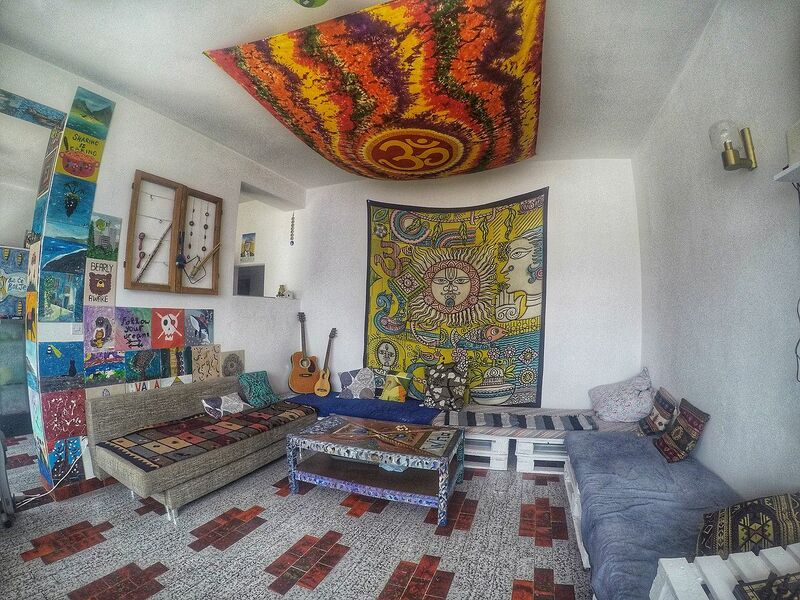 Boutique Hostel Forum in Zadar is one of the hostels that’s joining a relatively new trend in Croatia and elsewhere – of the upmarket kind. 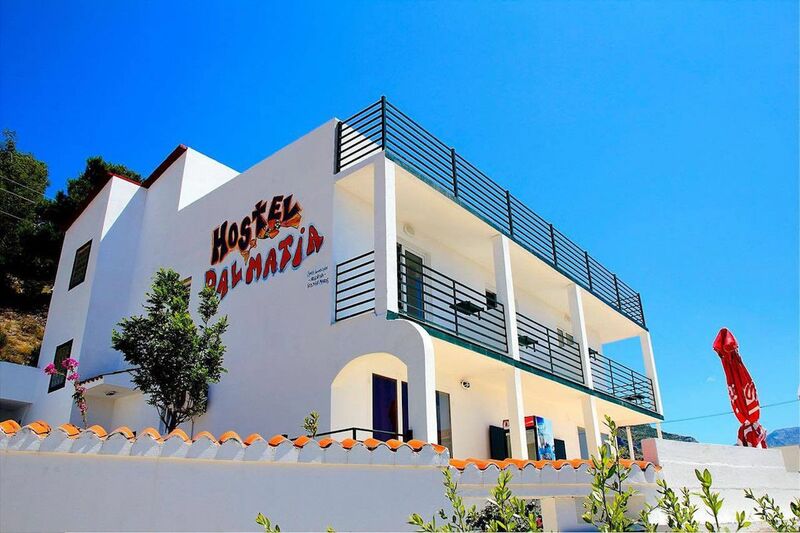 For often times much less that even a half decent hotel, you get a fun and funky place to stay that’s usually rather new, has great facilities and is well located. What’s not to like? Gorgeous view from a dorm room! 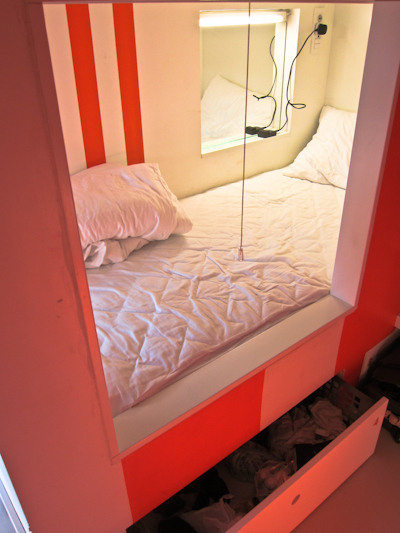 Two things strike you when you first enter – ORANGE and BLUE. It’s all very orange and blue. But it’s also very friendly – the young staff check you in quickly and give you a few pointers for the premises, including a little welcome leaflet that contains hostel information, plus a map of Zadar and a few local recommendations. 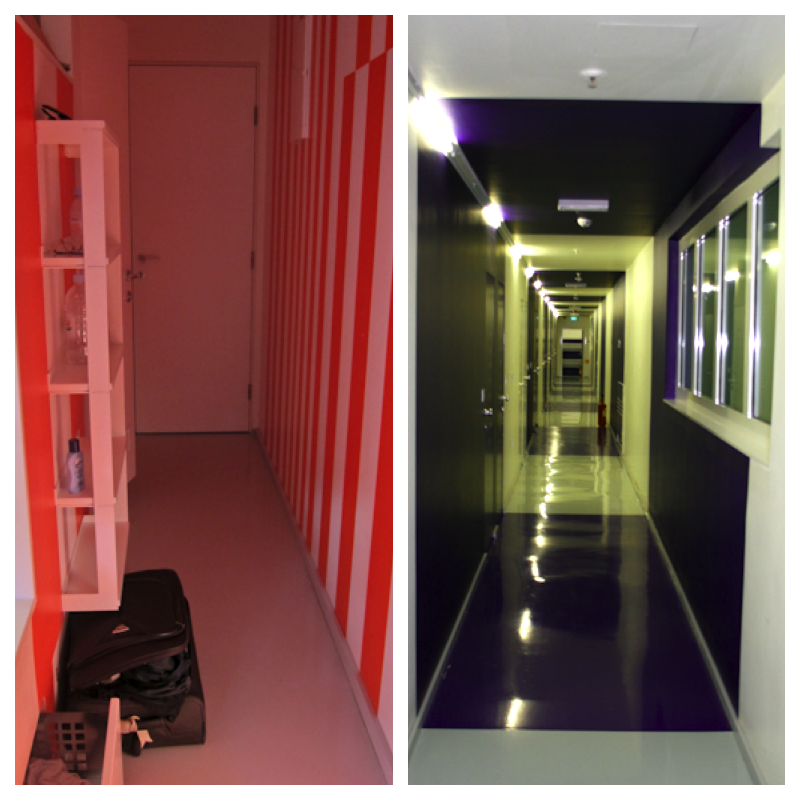 Left: dorm hallway Right: Floor hallway…. See – orange and blue! A couple of chairs feature in each corner of the room, plus hooks for hanging up your coats and what-not, and each guest gets a large (really a good size) drawer unit to store their ultra-private but expensive and essential travel kit- iPads, cameras, Christian Louboutin heels. (Just joking on that last one, of course.) This inventive drawer opens with your room card key, which makes it pretty secure and easy to manage. 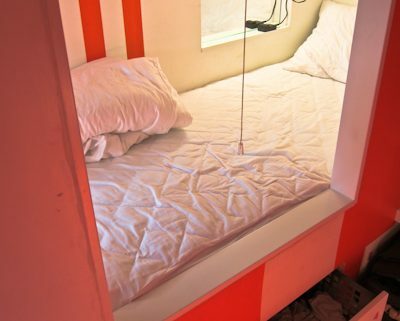 There’s not a great deal of storage overall in the room – you have to squeeze your backpack/suitcase into the corner or hallway of the room as best as you can and there sure isn’t a good deal of space to ‘hang’ out. 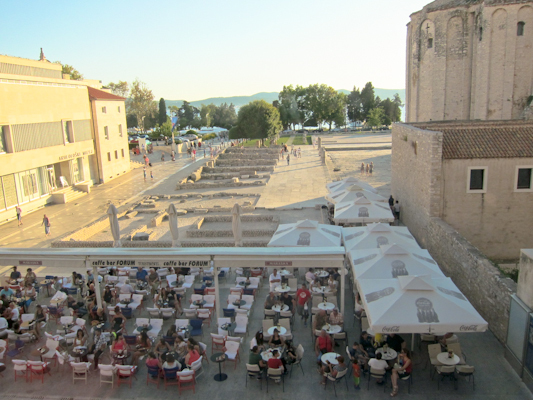 But you’re in the beautiful town of Zadar – who needs to hang about indoors? There are, of course, a number of common rooms, including kitchens where you can store your own food or opt for breakfast if you want it, although a ‘breakfast in a bag’ (see below) is included in your room price. There’s an outdoor terrace out back, and a relatively large TV room – with two TVs – that reminded me a little of a children’s soft-play zone, with the bright colours and the sofa seating on different levels. My favourite bit – waking up in the morning, pulling up the bed bunk blind and finding a breakfast bag had been delivered by my bunk. How did they do that? Who cares, there’s a sweet burek pastry inside! Pop down to the harbourfront for breakfast with a view. Most importantly, the hostel’s wifi is strong and FAST – yay! 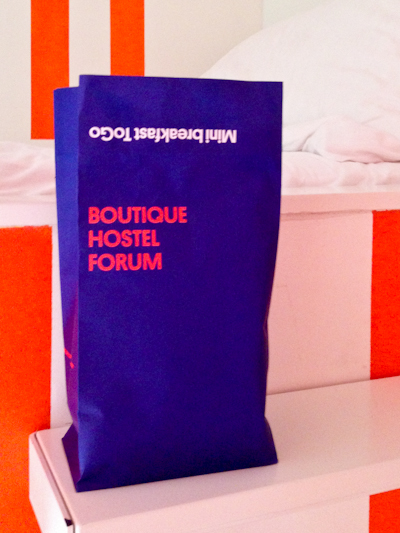 I’d highly recommend Boutique Hostel Forum – friendly, clean, comfortable, fun, decent value and superb location. 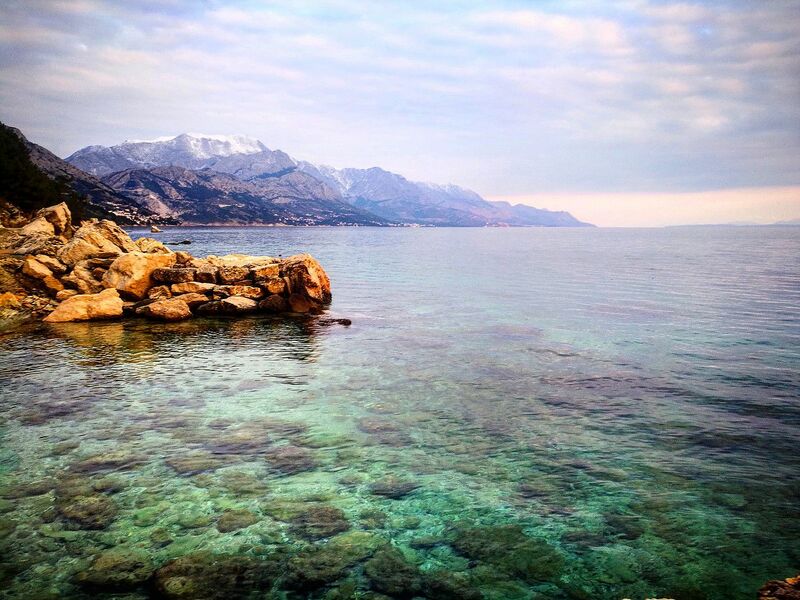 Give it a try if you’re visiting Zadar! 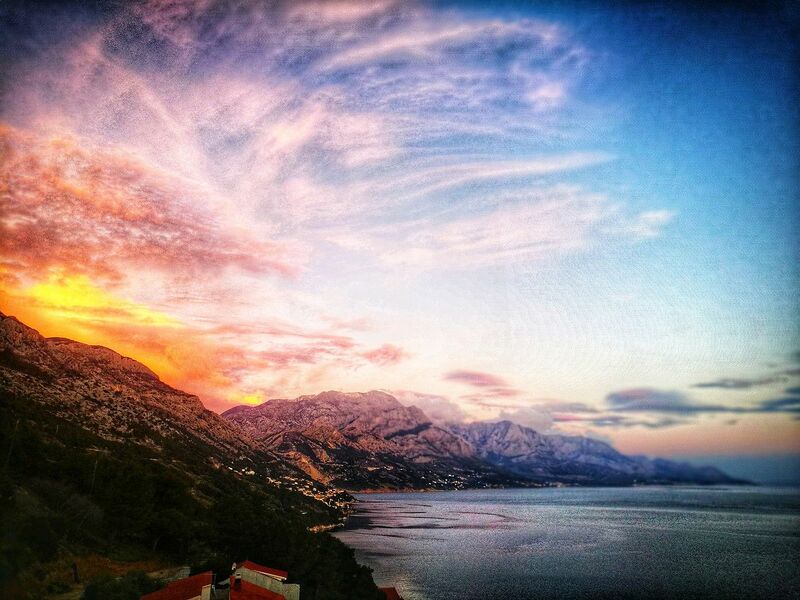 Disclaimer: Visit Croatia stayed at Boutique Hostel Forum anonymously and paid for her own stay.